The maturation of nanotechnology has revealed it to be a unique and distinct discipline rather than a specialization within a larger field. Its textbook cannot afford to be a chemistry, physics, or engineering text focused on nano. It must be an integrated, multidisciplinary, and specifically nano textbook. 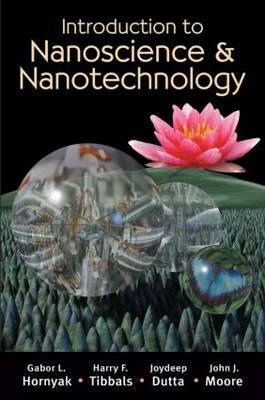 The archetype of the modern nano textbook, Introduction to Nanoscience and Nanotechnology builds a solid background in characterization and fabrication methods while integrating the physics, chemistry, and biology facets. The remainder of this color text focuses on applications, examining engineering aspects as well as nanomaterials and industry-specific applications in such areas as energy, electronics, and biotechnology. Introduction to Nanoscience elucidates the nanoscale along with the societal impacts of nanoscience, then presents an overview of characterization and fabrication methods. The authors systematically discuss the chemistry, physics, and biology aspects of nanoscience, providing a complete picture of the challenges, opportunities, and inspirations posed by each facet before giving a brief glimpse at nanoscience in action: nanotechnology. Fundamentals of Nanotechnology surveys the field's broad landscape, exploring the physical basics such as nanorheology, nanofluidics, and nanomechanics as well as industrial concerns such as manufacturing, reliability, and safety. The authors then explore the vast range of nanomaterials and systematically outline devices and applications in various industrial sectors. Qualifying instructors who purchase either of these volumes (or the combined set) are given online access to a wealth of instructional materials. These include detailed lecture notes, review summaries, slides, exercises, and more. The authors provide enough material for both one- and two-semester courses.